Good price, but very old now had some on an old R1 and managed about 800 miles before the back was shot. Good if you want to stick them on a commuter though. Good price, but very old now had some on an old R1 and managed about 800 … Good price, but very old now had some on an old R1 and managed about 800 miles before the back was shot. Good if you want to stick them on a commuter though. Thanks for the positive feedback - glad I posted the deal. 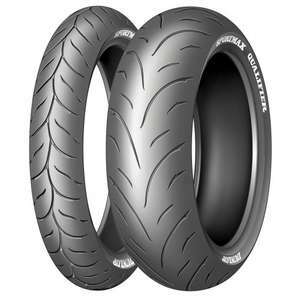 I know Dunlop Qualifiers are not for everyone but some people like them and at that price they are ideal for someone on a budget. I have the new Dunlop Sportsmart 2 on my bike which are good but they are more than twice the price of these!